Using Windows Azure, one of the most important aspect during SDLC is the secure connectivity to the cloud service provider. Two main aspects in relation to the connectivity are security and productivity and they should be addressed as early in the process of SDLC to avoid any impact on the expected deliverables. In this blog we would be addressing the most basic connectivity type i.e. 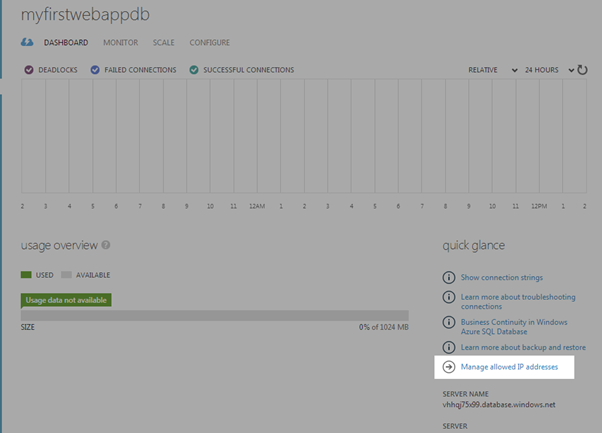 point to site setup and also to allow SQL Azure connectivity to the on-prem SQL Server Management Studio as this is very common issue while getting on with the Azure cloud development. A point-to-site VPN also allows you to create a secure connection from your Windows-based computer to your virtual network without having to deploy any special software. 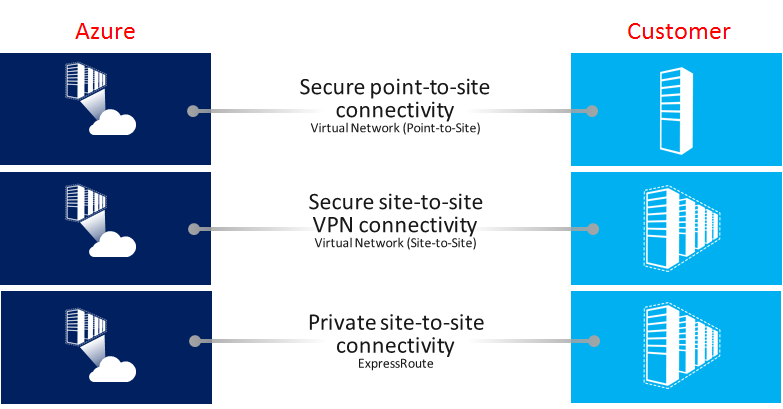 A site-to-site VPN allows you to create a secure connection between your on-premises site and your virtual network. Here is the table based on different uses cases which is very useful and let’s you determine which type of connectivity would be applicable for your environment. Azure services supported Cloud Services, Virtual Machines Cloud Services, Virtual Machines Refer tovalidated list. Refer tovalidated list. Access to all Azure services (validated list)· Enterprise-class and mission critical workloads. For detailed steps to setup point-to-site VPN can be found here. This is the most important aspect from the development perspective as without this connectivity the development can’t proceed. In order to connect to SQL Azure here are high level key steps or pre-requisites to be configured, for detailed instructions please visit this blog. From security standpoint any connectivity to SQL Azure happens over SSL enabled endpoint as Azure doesn’t allow un-encrypted traffic. 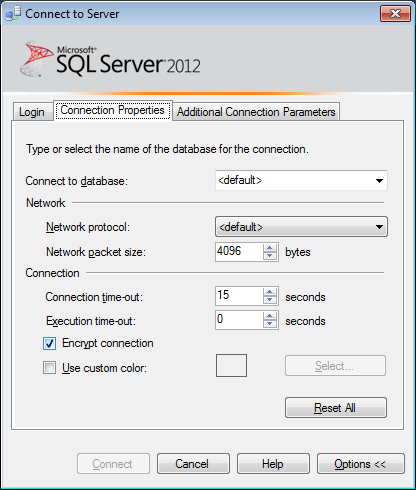 Note: once firewall rules are in place connect to SQL Azure from Management Studio and enable the Encrypt Connection option under “Connection Properties” tab for secure connection. This pretty much should get you started with the basic connectivity to sql azure without involving your network teams. In order to explore or find out about other Azure connectivity types and the setup details please refer to the technical documentation section in the above comparison table.